Is there a middle ground in the debate on vaccines? The debate about whether to apply more coercive pressure to vaccinate such as the ['no jab no pay' policy] is being clouded by polarised polemic. Each side appeals to a reasonably valid ethical claim: pro-vaccination to the public good, anti-vaccination to individual rights. However, these ethical claims sometimes seem to serve vested self-interest rather than public interest. Moreover, that self-interest reflects an over-estimation of the relative risks to health of vaccination and non-vaccination respectively. At the outset, let me state my own position: I'm up to date on the vaccines I consider important (e.g., DTP) and my school-age son is up to date on all vaccines as "required" by the Australian immunisation schedule. Furthermore, in the balance, I think that it is much wiser for an individual to choose to vaccinate (both for him/her-self and for their children) than not. And I am delighted that Australia enjoys one of the highest coverage rates for childhood vaccinations in the world. However, I am firmly against policy that "requires" or coerces people to vaccinate if they object or even if they do not object, but simply do not vaccinate. 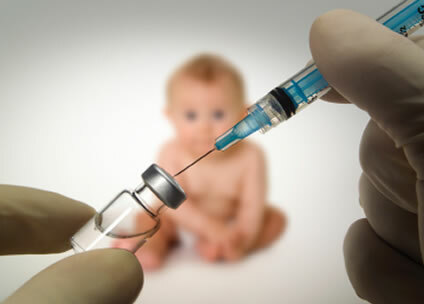 Of the approximately 7% of children that are incompletely vaccinated, only about half formally object to vaccinations. The remainder are not vaccinating due to what are called "access" issues. These include logistical reasons such as lack access to medical services (financial, physical, etc. ), one parent agrees but the other does not, or it may be inertia (laziness, procrastination, forgetting) or just plain hesitancy. My view then is an echo of a biographer's summation of Voltaire's view towards free speech: "I disapprove of what you say, but I will defend to the death your right to say it". And given that it is vaccinations that we are talking about, death is a genuine possibility -- albeit very unlikely -- whichever side of the fence you sit. In broad terms, people tend to overestimate the likelihood of low probability events. It appears that our estimation of low probability events is influenced by factors other than actual likelihood. For instance, death by drowning and shark attack are both very low probability events. Despite public fears of shark attack, drowning is 10s to 100s of times more likely. Just under 300 people drown each year whereas less than one person a year dies in a shark attack in Australia. Again, regardless of any misrepresentation of the relative probabilities, the probabilities of shark attack and drowning are both very improbable. So too is the probability of a child dying of a disease against which they have been vaccinated. So too is the probability of a child dying of the vaccination itself. The problem of any policy mandating how we should behave is that it relies on the policy-makers being better at handling small probabilities than the rest of us. Sadly, this presumption is probably not true given that policy makers are, after all, merely human. In the debate about whether to move towards mandating vaccination, there are at least four separate points of view. The first is the policy maker, let's call them politicians, although they could be a part of the administration or bureaucracy. The second is the health professionals, the scientists. In matters of health, they are likely to be doctors - either of medicine or PhDs or both, although not necessarily. It may be noted that the distinction between policy-maker and health professional is somewhat artificial as perhaps reflected in the notion of a public health professional. Health professionals that choose public health have to negotiate the "central dilemma" of balancing a doctor's concern for an individual with a policy maker's view of what is in the best interests of the community. The third is the public, and in the vacccination debate, there are two quite distinct groups. 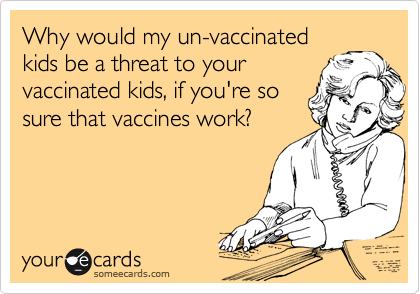 There are the passionate pro-vaxxers who fear that the unvaccinated will threaten the safety of the child. And then there are the passionate anti-vaxxers who fear that vaccinations will threaten the safety of the child. The passionate debate in the public forum is typically one between utilitarian ethics (everyone has an obligation to vaccinate because it is for the greater good) and deontological ethics (my health, my decision). However, an examination of the extensive public commentary on articles discussing the ethical issues often reflect a personal rather than public concern. The passionate supporters and opponents of vaccination often invoke the safety of their own child which reflects a self-interest rather than genuine public interest. The public debate may be interesting and newsworthy, but much of it is based on a failure to recognise that the risks that are of such enormous concern to each side are both very small. The risk of vaccination failure is small and the pro-vaxxers fear that their vaccinated child will be infected by an uninfected child is probably over-inflated. So too is the anti-vaxxers fear that their unvaccinated child will suffer an adverse event if vaccinated. Both sides are responding disproportionately to small probabilities. To allow a real debate on the issues, we need some way to stop the personal argy-bargy, particularly of the public. We need to discount the thinly veiled defence of personal which is often based on a poor understanding of the low probabilities of both threats (vaccination failure and adverse reactions). What we need then, is a vaccination against righteousness because right now, we have an outbreak and we need something to calm the inflammation.